Welcome to this tutorial on the 1625 turnaround. The 1526 turnaround is found throughout jazz music. We’re going to introduce an exercise that will not only get the changes in our hands, but make the notes clearer in our mind. To start this exercise we are not going to have any dominant variations on the vi or ii , so it will be the straight up I major to the vi minor, ii minor, and V dominant. We can stay with the triads as long as you like, out of tempo, taking your time to think through if needed and once it’s clear we can try to keep a steady rhythm, slow at first, then faster. Once we are comfortable here, we can do this same exercise but with 7th Chords, which is really the same but adding in one more note to our right hand. 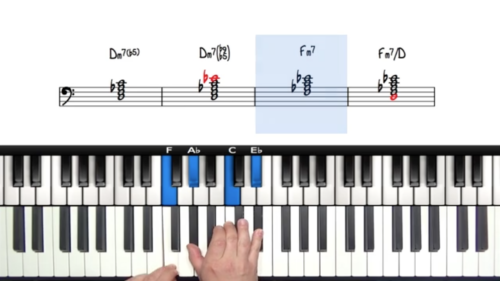 By working on these exercises, we are laying the foundation to sight read and learn new tunes quickly. The minute we identify this turn around on a chart… we are in familiar territory! 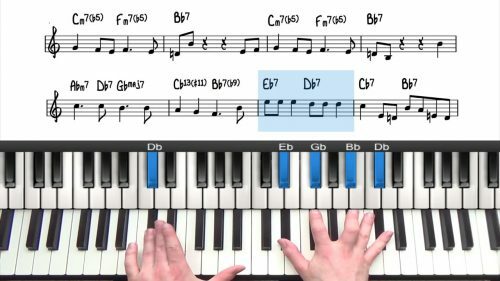 You’ll also have an easier time with more complicated voicings on these very changes, and finally, you’ll be on your way to be a master transposer as your brain will be more skilled in flipping between keys. Any comments or questions, please post below. 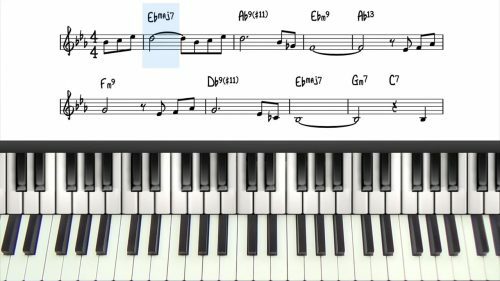 Intros can be useful to extend the length of your performance and also to establish the tonality or the key in which the tune is being played. You'll find your mind can move quickly between the keys, so you've created more flexibility in your mental processes, whilst gaining valuable muscle memory in your hands. The next step is to bring inversions and interesting inner voice leading. You can also practice walking bass patterns and/or melodic phrases in the right hand. Using the same pattern through all 12 keys helps us to get better at transposition.